At the Next conference, I shared about a gathering where we gathered the 22 churches in San Francisco to see how we could better partner with one another and address some of the issues that urban churches face. The first gathering was getting to know each other and putting together a document that named our collective legacy as 22 PCUSA churches. This second gathering we wanted to think more big picture as well as come away with concrete ideas for networking and partnering. Every church was invited to send two representatives (1 pastor & 1 elder or 2 elders). We provided daycare for those who had children. 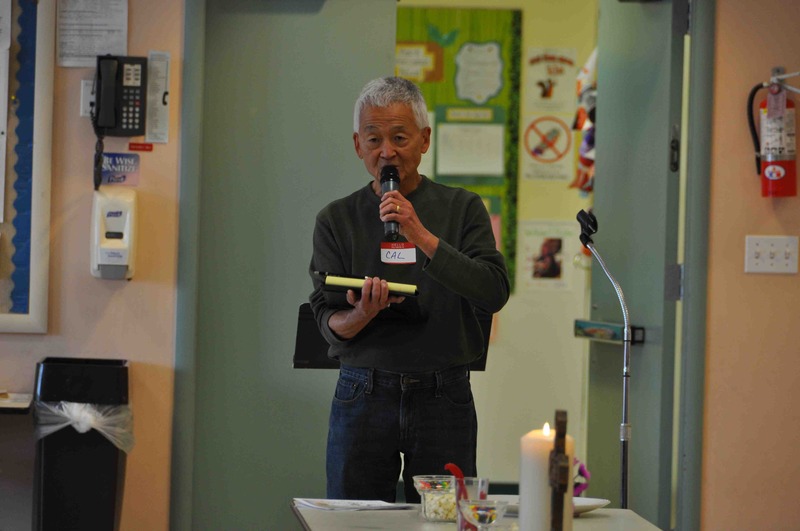 Although the gathering was a grassroots effort and planned by San Francisco pastors, the gathering was financially supported by the Committee on Ministry. With supplies, food, and daycare, we budgeted $500. Here are the details of the process we went through and the topics discussed. The process was similar to the first one, but we used a different process modality. You can view pictures of the gathering here. Gathering Songs – singing songs to bring us together. 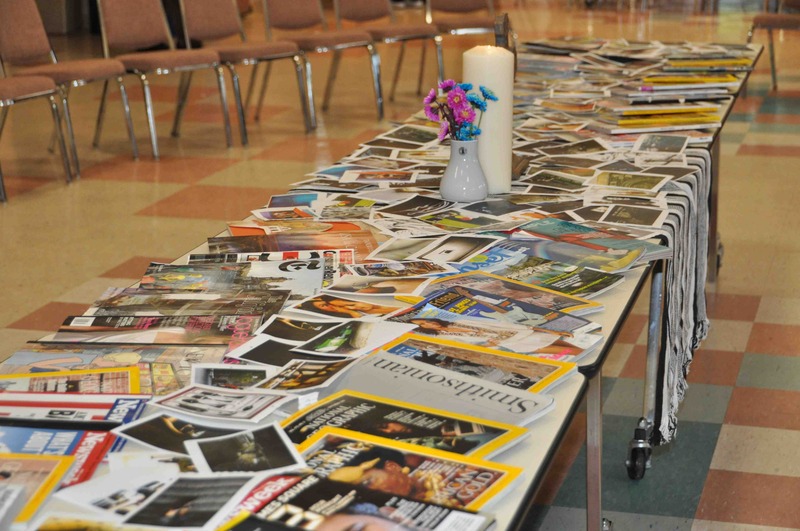 Participants were invited to cut out images and words to answer the following questions about their church. They made a collage from their clippings. 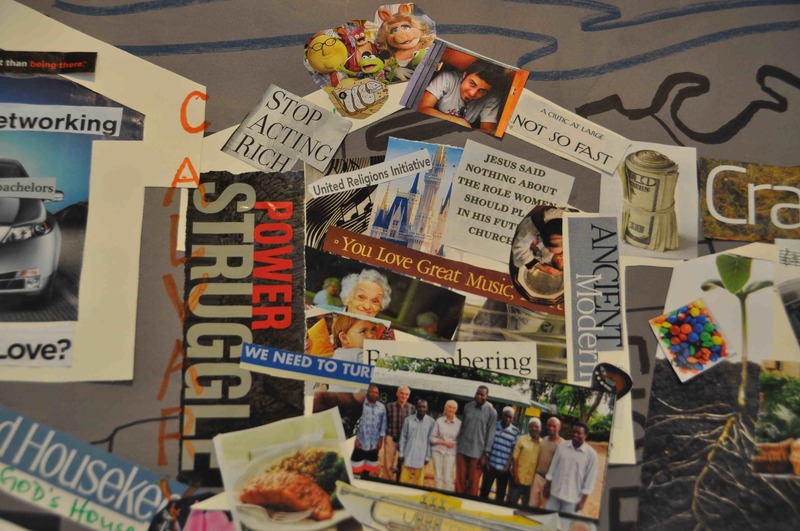 Then, pastors and elders from each church were invited to share their collage. On the church template, what are you proud of about your church? What identifies your church? On the outline of the church template, what is your church lacking or missing? We then spent time hearing from Rev. JD Ward who has done a lot of work around missional leadership. 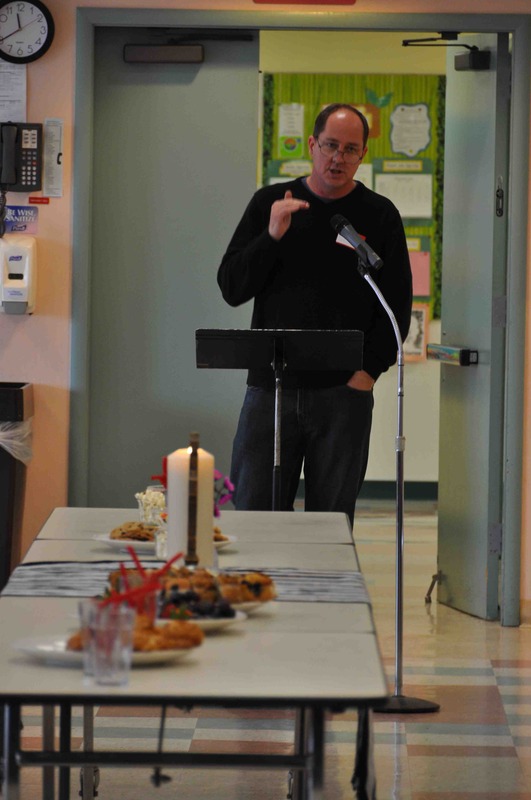 He talked about moving from a perspective of 22 individual PCUSA churches to one church with 22 mission outposts. If we looked at ourselves as missionaries, we would look at how our churches engage with the city much differently than we do now. Functioning as a church is very different than functioning as a mission outpost. Open Space Time – Participants were invited to throw out topic that they would like to have and then brok up into small groups to talk about those topics and then we gathered back together to harvest the ideas and share them with the larger group. 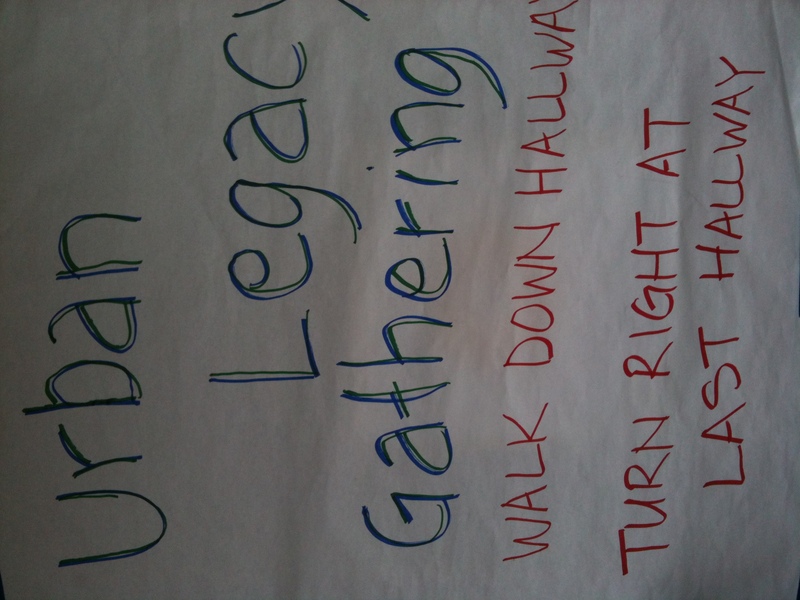 Participants were asked to follow the following Open Space guidelines. How’d you like to network and partner? Open Space is a time for people to gather in small groups around an interested topic. You pick the topic. Whoever comes is the right person. The Law of Mobility: if you are neither learning nor contributing, join another session where you will be inspired. Conversation Guidelines: Please practice and encourage these conversation guidelines. Use Law of Mobility: Take responsibility for your participation. If you feel you are neither contributing nor learning where you are, join another session where you will be inspired. 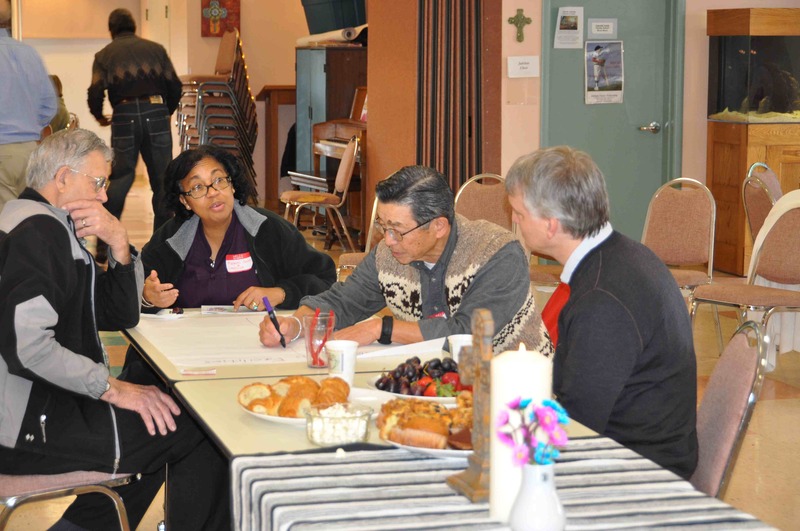 Thank you for being willing to host an Open Space conversation at a presbytery meeting. The process is simple. Email the Meetings Working Group your topic and a brief paragraph describing the topic. The Meetings Working Group will be in contact with you. Topics are considered depending on the presbytery meeting schedule. Open Space time is usually one hour long. Remember the six guidelines of Open Space. Remember you are the host! This is not a workshop but a place to host good conversation around your idea or topic. Trust that what the Spirit wants to say will emerge in the space of open and honest conversation. When you are ready to begin, read the Conversation Guidelines to your group, briefly introduce yourself and the topic, encourage visual harvesting and begin. Harvest your conversation by taking notes on the Harvesting Sheet or providing some type of visual. 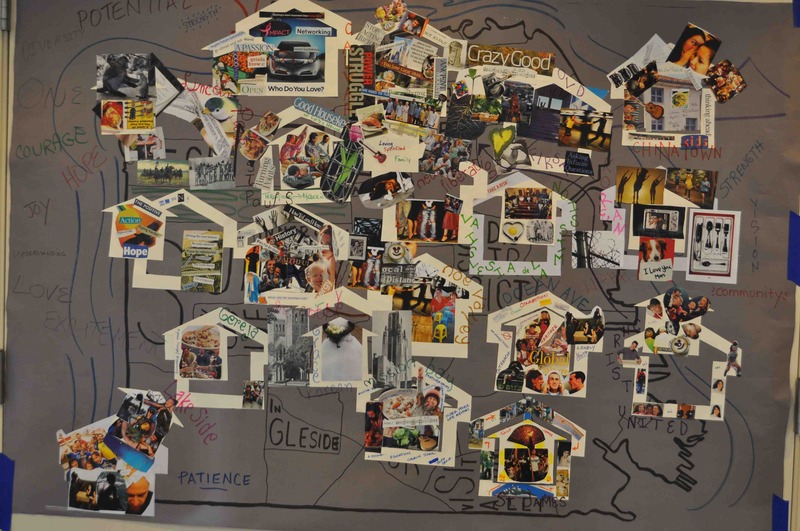 Take a picture of the harvested notes or turn them into a presbytery staff person so that they can be shared on the website. With 5 minutes left, make connections and discern any important insights that can also be harvested for future partnerships or networking. 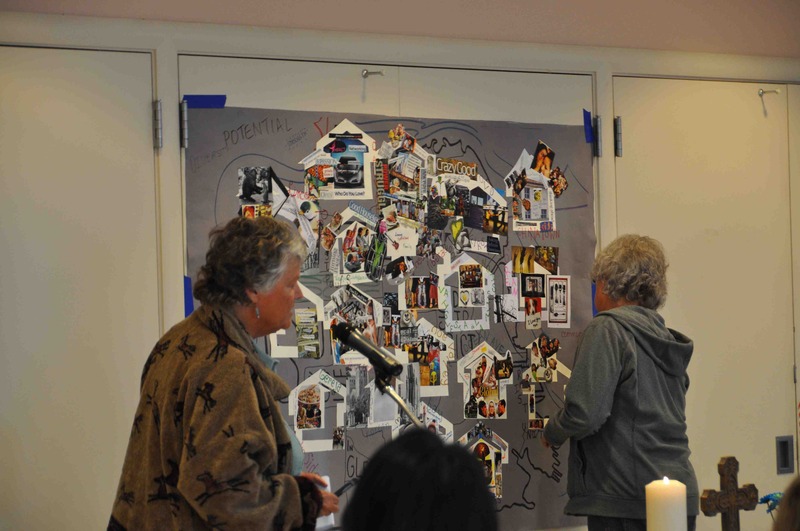 Praying together – We began the day with a map of San Francisco and did a collage of the individual churches which was added to the map. 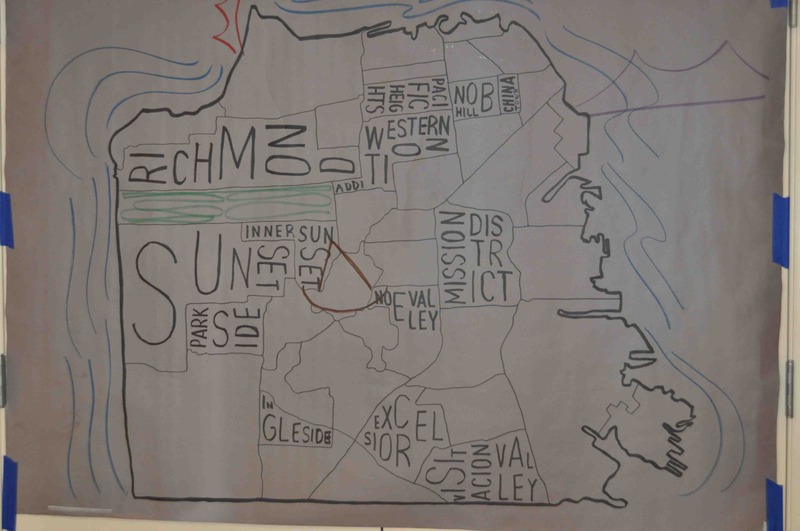 For closing prayer, participants were invited to add a word or image to the map that described the 22 mission outposts as one church. I share the process because I believe the model worked well to generate and foster good conversations, especially in the midst of diversity. We are truly making it up as we go along and look forward to seeing how these gatherings build on one another. Feel free to use and adapt this process. I look forward to hearing your own experiences if you choose to use this process. This is something I’m seeing more and more central to my call–becoming an artisan at crafting conversations. Thanks for sharing what you’re doing. Teresa, you inspired me to share – though our gathering was notably more 1.0 than yours. 🙂 But it’s good to start somewhere! love the conversations you created Robert. i can only imagine the wonderful insight that came out of it and will grow from that. thanks for sharing.